Emerald green is the "IT" color of the season. 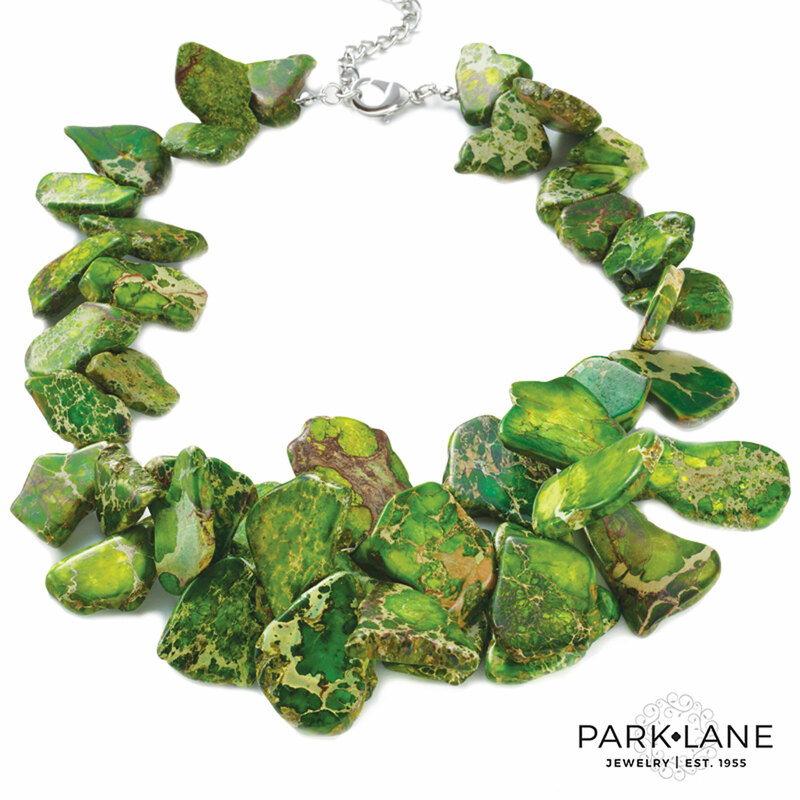 A bold profusion of genuine jasper gemstone nuggets create this dramatic statement necklace. 16-inch plus 3-inch necklace.